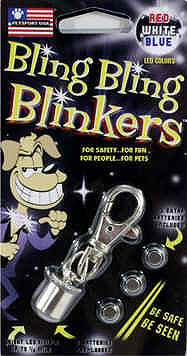 Bling Bling Blinkers are For safety, for fun, for people and for pets....Be Safe, Be Seen! More than just a fashion statement, it's a mini flashlight and a personal safety flasher. Clip it to your pets collar or your keys.